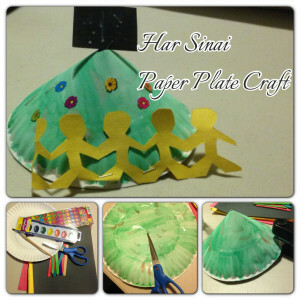 Create a really cute and simple Har Sinai Shavuot craft using simple and inexpensive craft items! Simply paint the outside of the paper plate green. Cut the plate halfway down the middle and fold over one another to create a low cone shape. Decorate as you wish using flower stickers, paper people or any other type of decorations you like! Make Luchot by designing Luchot on a small square of paper and then stapeling it to a popsicle stick. Stick the popsicle stick through the fold in the top of you mountain, and you have a beautiful, easy and unique Har Sinai! Ayala on Its Costume Heaven! Yehudis on Welcome to the MorahSupplies.com Crafty Corner! Mushky Verzov on To ‘Time Out’, or Not to ‘Time Out’? Holy on Welcome to the MorahSupplies.com Crafty Corner! Copyright © 2019 Morah Supplies. All Rights Reserved.